There are 74 pitches with electric hook-up for caravans and campervans. We have both grass pitches and hard-standing pitches with grass to the sides. You can choose a pitch from a more sheltered tree-lined setting or from an open field where you can feel the breeze. 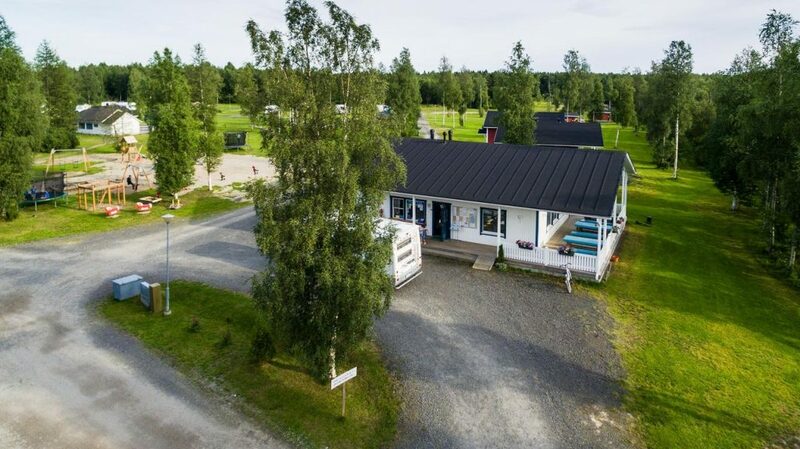 Our vast site is suitable for larger caravans as well. 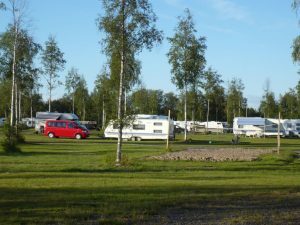 There are also grass pitches without electric hook-up for 25 caravans and campervans. There is a designated grassy area for tents with plenty of space where you get to enjoy the camping atmosphere. 74 pitches with electric hook-up for caravans and campervans, a grassy area for tents. Showers, toilets and electric saunas located in the renovated service building. Pre-ordered breakfast served in the reception building.